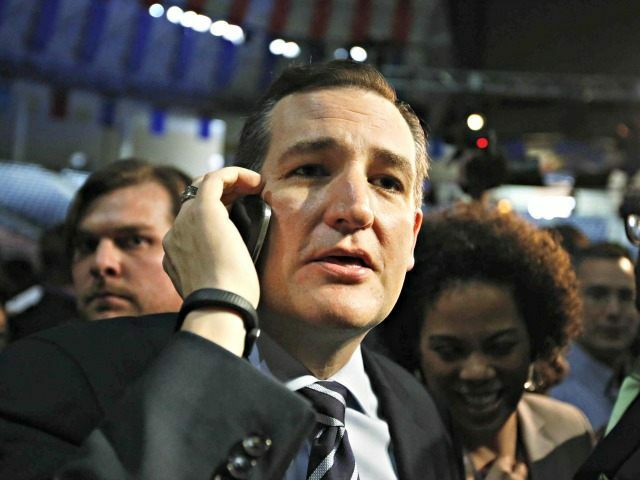 29 Mar 2016 Washington D.C.
“The reason why Obamatrade became law is because of Ted Cruz,” said Donald Trump’s senior policy advisor Stephen Miller on Monday’s program of Breitbart News Daily. Miller — who had been working for Sen. Jeff Sessions at the time that Sessions led the conservative opposition to Obamatrade in the U.S. Senate— said that Cruz’s “lobbying” effort to fast track President Obama’s Trans-Pacific Partnership “was the difference maker” that enabled fast track to pass. We talk about Club for Growth, we talk about these groups that are out there pushing offshoring, there’s a reason why they’re aligned behind Ted Cruz — and this needs to be understood: the reason why Obamatrade became law is because of Ted Cruz. During the early pivotal moments of the fight when Jeff Sessions — and I was working for him — was out there warning the country about the living agreement [of the Trans-Pacific Partnership], about the transnational commission [established by the TPP], about the loss of U.S. sovereignty, Ted Cruz not only wrote an op-ed with Paul Ryan giving the pact urgent needed momentum, but Ted Cruz also did media and interviews arguing against Jeff Sessions. Indeed, Cruz seemed to provide cover for Republican lawmakers, who used Cruz’s support for Obamatrade to defend their votes to fast-track TPP. Then-Speaker John Boehner touted Cruz’s support for Obamatrade on the Speaker’s website in a talking points memo entitled, “Conservative Support for TPA Grows” on June 9th. These talking points were echoed by other Republican lawmakers such as Kenny Marchant, who highlighted Cruz’s support for fast track on his website as well on June 11th. After months of promoting Obamatrade, at the last minute Cruz announced his decision to reverse his vote on fast-track based on issues unrelated entirely to trade policies — leaving the door open to support TPP in the future. Cruz made no mention of any objections he had to the fundamental issues of trade policy such as the offshoring of manufacturing jobs, or the implications globalist trade pacts can have for U.S. sovereignty. In fact, in his op-ed Cruz continued to maintain his support for the general concept behind fast-tracking globalist trade deals. “As a general matter, I agree (as did Ronald Reagan) that free trade is good for America; when we open up foreign markets, it helps American farmers, ranchers, and manufacturers,” Cruz wrote on these pages– thus leaving the door wide open to enacting the entirety of the nearly 6,000 page TPP as president, so long as he gets some concessions on immigration policy and a way to phase out the unrelated Export-Import bank. Underscoring the point that he continues to support the fundamental principles of trade globalism, Sen. Cruz also opposed a 2015 proposal to crack down on Chinese currency manipulation offered by Ohio Senator Rob Portman. In Monday’s interview, Miller noted that “Wisconsin has seen its middle class shrink more than any other state in the country, according to Pew research.” According to the Economic Policy Institute, 68,000 Wisconsin jobs were displaced due the nation’s trade deficit with China from 2001 to 2013.